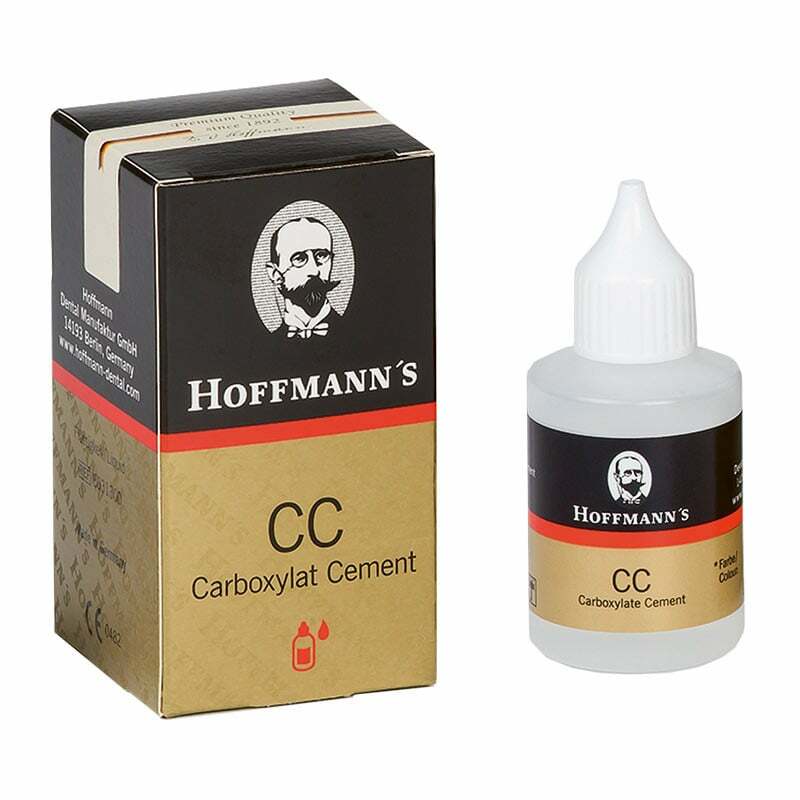 Hoffmann´s Carboxylate Cement liquid is used for mixing with the Hoffmann´s Carboxylate Cement Powder (Art. No. 221016). This bonding cement is excellent for treating sensitive tooth stumps, as an underfilling cement and for primary tooth fillings.